Included in this Halloween/Voodoo Fest installment is a single I’ve had in the “to be (re)posted” pile way too long, plus one from 1989 (!) by the Neville Brothers I just picked up recently that has album tracks I didn’t know ever made it to the 45 medium. I don’t even see the record listed in the Complete Nevilles Discography at nevilletracks. No wonder I missed it. Must have been a very limited run. When I first posted Part I of the song, almost all my records were still in storage; so I was sourcing the blog audio from CDs I had burned from my vinyl collection while doing my radio show in Memphis. I mis-remembered then which LP I got “Younka Chounka” from; but I can now attest that it was Bandy #70017, Allen Toussaint Sings with Billy Fayard and the Stokes. Pulling it out again recently, I realized that the album title is a bit of a stretch, since Toussaint sang some backing vocals on a couple of tracks with the Stokes, but took the lead on only one single, Alon 9021, “Poor Boy Got To Move”/“Go Back Home”. That 45 is a rare and significant classic for several reasons. It was Toussaint’s first recording using his actual name (early singles for RCA and Seville called him Tousan or Al Tousan), and was his only featured solo vocal on record up until he did the Toussaint album in 1970. Two other tracks on the Bandy LP with him on vocal actually came from a 45 he cut as a duo, Allen and Allen, with Allen Orange in 1960 for Minit, several years prior to the Stokes existence! During the two years or so that Toussaint had the group together, the pianist mainly wrote and recorded instrumentals with them for release on the Alon label, Those singles were credited to just the band, except for Alon 9025, which re-named them the Young Ones. Of course, the best known of the Stokes’ instrumentals is “Whipped Cream” - but not their original version, instead Herb Alpert's cover of the tune from 1965, a national hit, which later became the theme for the creepy but popular Dating Game TV show. Toussaint had begun concentrating on such light, poppy fare in Texas because of Al Hirt’s huge hit in 1964 with “Java”, a brilliant little pop ditty Toussaint had originally written and recorded in 1958. It appeared on his first LP, The Wild Sounds of New Orleans by Tousan, an all instrumental outing released by RCA. When Hirt’s cover version took off, Joe Banashak, Toussaint’s music business boss back home, encouraged the writer to come up with more like it. For several years before the service, Toussaint had done writing and studio production for artists signed to the labels Banashak had started, Minit and Instant, and was so successful at it that Banashak set up the Alon label in 1961, hoping it would become the main outlet for Toussaint's projects. It was slow to get off the ground, though; and, then, Toussaint got called up. Most, if not all, of the Stokes’ recordings were cut in Houston in 1964 with Banashak bringing the masters back to New Orleans for release on Alon. I'll be focusing on the other much lesser known Stokes vocal tracks over the next two posts. This time, it's two that found an unexpected outlet and featured the singing drummer/percussionist with three names. Here’s the reason this song was so hard to find on 45. It wasn’t released on Alon or any of Joe Banashak’s labels, nor did it have Al Fayard’s name on it, as Jeff Hannusch had indicated was the case. Instead, I happened to find this Uptown single when the title caught my eye as I browsed an online seller’s listings. It leaves out the second “o” shown on the LP tracks; and the artist is shown as K. C. Russell (for reasons still unknown), but I took a closer look. When I saw that the flip side was also a Stokes title, and that the label shot displayed Toussaint’s production and writer’s credit (pen-name Naomi Neville), I hit the “buy” button in a flash. Fortunately, it was in great condition, and cheap. Looking for some background on this release, I ran across the May 8, 1965 issue of Billboard online, which had a short article announcing the start of the Uptown label, a subsidiary of California-based Tower Records (distributed by Capitol), geared to the R&B market. The label had two initial releases, one by Cookie Jackson, and the second, “Younka Chunka”/”How Tired I Am”, by K. C. Russell. Uptown was described in the article as working with independent producers and buying masters; so I would think it safe to say they came to Banashak to acquire some sides due to the previous track record of his labels. Of course, those glory days were gone by then; and he likely let these left-over Stokes cuts go, along with two singles worth of material by Chris Kenner, for a little quick money. Business prospects were not bright, since Toussaint had recently severed his ties with Banashak upon his return from the service that year. Despite the pseudonym, Al Fayard was indeed the lead vocalist on “Younka Chunka”, as confirmed by the online bio I found at the Westbank Musicians Hall of Fame, Inc., which shows his full name as Al’D Francis Fayard, Jr., but consistently refers to him as ‘Billy’, which is, I assume, a long-held nickname. Willie West, who has known Fayard for years, previously confirmed to me that Al and Billy were the same person, as I had been confused by the unexplained use of both names by various sources in reference to the Stokes. Billy’s bio does note he was also called K. C. Russell for this 45 (the site is off on the title and label info), but what it doesn’t mention is that, besides Uptown 701, he also had two equally obscure vocal releases with the Stokes under his own name(s) on Alon: the earlier noted two-part “Doin’ Sumpin’” (#9020) as Al Fayard, and “I Don’t Know”/”I Get Mad So Mad” (#9028), as Billy Fayard. I’ll have a separate post on those singles coming up next time. As I have said before up in here, I’m a sucker for New Orleans novelty tunes, especially with nonsense lyrics, the stranger the better, and, of course, a good groove. “Younka Chunka” certainly delivers, being one of Toussaint’s more off the wall lyrical concoctions and sporting that loosely syncopated popeye-style drumming (Fayard, I assume) with some great rollin’ professorial piano by the leader. It’s a tale about a scary mystery creature rockin’ a transistor radio (an early hand-held audio device, kids!) who turns up late one night in the path of the teller of the tale. I don’t know if ‘Younka Chunka’ is supposed to be the sound the creature makes, its name, or what. In my head, I imagine it as kind of a cross between Bigfoot and a Loop Garou - but that’s not in the lyrics. Fayard’s rough-edged voice works well expressing the humorous dismay of the only witness to the weirdness. Meanwhile, rather than another R&B novelty, the flip side was something else again. Toussaint and Fayard shared the vocals on this pretty much straight ahead, driving rock song with a second-tier British Invasion, garage band kind of feel to it. “How Tired I Am” sports catchy guitar riffs, nice horn charts with a hot sax solo, and some intense piano work, though less upfront in the mix than on the other side. While the instrumentation wasn’t out of the ordinary for a Toussaint production. the song itself is a surprise, fitting in nicely with two other rockers that appeared on Fayard's final Alon 45 (featured next time). As he did on those tracks, too, Toussaint directly co-opted the style of music that was sweeping the airwaves, dominating the pop charts, and supplanting both the light pop instrumentals and New Orleans’ bread and butter R&B he specialized in. He seems to have had a knack for it, too. As this single shows us, working outside of his hometown comfort zone with different musicians brought out the unexpected in him; but Toussaint didn't pursue the pop/rock experimentation any further in his writing upon returning to New Orleans, though he would work effectively with some rock artists as a producer in the next decade. Billy Fayard, who in his early music days prior to the Stokes was in a band with Ronnie Barrouse (Ronnie Barron), later in life became a businessman in Gretna, and has owned a number of clubs, including several on Bourbon Street. Over the years, he has also been involved with a band called the New Orleans Levee Board. More to come from him and the Stokes next time, so stay tuned. Speaking of surprises, as I mentioned at the top, I had not been previously aware of this 45 when I ran across it a few weeks back. 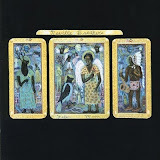 A fairly recent (for here) vinyl release, it was spun off from the popular 1989 Neville Brothers album, Yellow Moon, righteously produced with plenty of atmospherics by Daniel Lanois, a Canadian who plied his recording mojo in New Orleans for several years back when the city was in the midst of a musical renaissance. It was a time when the city’s well-seasoned, preeminent soul/funk outfit finally had a big national buzz going for them and were newly signed to A&M. The hip, cutting-edge musician/recordist Lanois really sussed out what the band was all about and allowed them room to express themselves. The result was an incredibly well-conceived new album, featuring fresh music with ancient roots from a place whose deep cultural heritage was being discovered and appreciated by more and more music fans across the county and around the world. Rather than taking the project into the rather sterile, technically efficient confines of a recording studio, Lanois set up the necessary equipment in a big old house on beautiful Saint Charles Avenue in the city and made sure the space had the ambiance and vibe that would allow the band’s creative energy to flow unimpeded. The result was arguably the best album of their career, full of memorable tunes, performances, grooves, and importantly, a palpable presence of their hometown infused throughout. It was a perfect harmonic convergence of ability and desire that went gold. “Voodoo” is just one shining example. 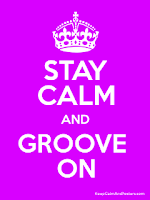 Recorded with reverb set at very wet and infused with other deft sonic effects, the insinuating groove arises organically from an incredibly fat, slinking bass line and simple, primal percussion set to summon the spirit-dancers latent in our DNA. The other instrumentation layered in - perfectly stroked guitar, ethereal electric piano, resonant horn section, with an up front tenor sax implying a second singer - entwine and uplift brother Aaron’s aching, fallen-angel vocal. The lyrical conceit of equating being in love to falling under a voodoo spell is certainly not original; but rarely has it been so convincingly rendered. The A-side featured Cyril’s,“Sister Rosa”, a rhythmic but respectful tribute to the courageous civil rights hero, Rosa Parks, and one of his best musical teach-ins. Releasing a 7” 45 late in the 20th century to promote an album was a fairly passe gesture; but I guess A&M felt confident enough in the brothers' accomplishment to specially press-up a few for good measure. You don’t hear many 45s this well-recorded and with such a low-noise pressing, either; but, of course, while having the collectible is nice, you should own the album above all else, if you don’t already, after all these years. If you do but haven’t heard it for a while, put it on when you have some time to get wrapped up in its rich expression once again. Not many bands last this long. When Yellow Moon hit the streets, they had been going for just over a decade, and are still with us now to some extent after two more. 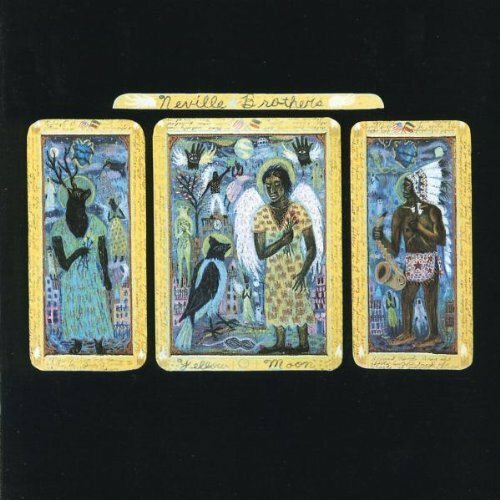 At their core, the Neville Brothers are family in a city full of complex musical kinship - although the man-made, government-assisted disaster of 2005 and beyond has disrupted those connections with yet unknown long-term consequences. Like any band, any family, they’ve had their highs and lows over the course of individual and group careers that go back some 50 years now - successes, disappointments, blessings and curses; but few groups have such a diverse and high quality body of work to leave as their legacy. It is truly a tribute to them and the city that raised them up in music. As I have mentioned elsewhere, one of my greatest musical epiphanies came at one of their gigs on Oak Street, not too long after they first formed. They sure put some voodoo on me; and I remain quite susceptible and partial to their powers, open for whatever revelations they may have in store while we're all still in the neighborhood. As usual, thanks for the info. I've been wondering about those Chris Kenner sides on Uptown 'cause the release date just seems wrong if they were done with Toussaint. Makes much more sense if they were recorded earlier. Thanks for the clue about the K. C. Russell 45, I would never have guessed. So, "Yellow Moon" was recorded in a house on St. Charles.....this is prior to the house/studio on Esplanade, ie Kingsway? Thanks, ana. As always, I glad that this stuff is useful to ya. About Lanois, yes he used the St. Charles house for Yellow Moon. He put Kingsway together after that, attempting to create a more permanent recording space that looked and felt as little like a studio as possible, I think.